Our mission partners will be on both campuses after service to share their stories with us. Have you said YES to a life-changing relationship with Jesus? Baptism is your next step! Sign up for your baptism and your prerequisite baptism class today! Sign up to be a Crew Leader! Every crew leader that signs up ensures that more students get to attend this amazing week long camp of serving our community. Sign up for RIOT JR. STAFF! RIOT 2019 Jr. Staff is June 1-7, 2019. For Jr. Staff, the cost is $225 and there is a mandatory Training Day on Saturday, May 4th from 9AM-2PM. Interviews will be held Wednesday, April 3 and Wednesday, April 10 2019 from 3:30PM -5:00PM in the Student Ministry office. Registration for campers on April 7th at 4pm! What: A can’t miss week long day camp with incredible worship, outrageous team competitions, and great memories! Children are special and amazing gifts from God. At Bay Hope Church, we encourage parents to have their little ones baptized as a way of saying that God is already at work in the child’s life and the parents are acknowledging this fact and committing themselves to raising their children in His ways. Early childhood baptism is for kids in nursery - kindergarten. The Early Childhood Baptism Class is required for participation in Early Childhood Baptism weekend. The class is held the weekend before the actual baptism for parents only. Childcare is available in our nursery and preschool/kindergarten rooms. Early Childhood baptism weekend is November 16-17, 2019 during all services. Please register before October 31st. The prerequisite baptism class is on November 10th at 11:15am. Throughout the year, we host programs designed for families who need a break. The Embrace care program provides a morning out every second Saturday of the month, during the school year. A Walk to Remember is for those grieving the death of a loved one. Looking for an outdoor adventure? Join us on March 29-31 for a nice long paddle down the Suwannee River in North Florida. Come celebrate our one year anniversary of our Westchase campus! Bay Hope Worship Live Recording!! March 3rd. 6pm. Lakeshore Campus. Camper and Volunteer applications will be available beginning September 11, 2018. Camp Erin Tampa Bay is a transformational weekend camp specifically designed for kids and teens, 6-17 years old, who have experienced the death of a significant person. Camp Erin combines traditional, fun camp activities with grief education and emotional support, free of charge for all families. Led by grief professionals and trained volunteers, Camp Erin provides a unique opportunity for youth to increase levels of hope, enhance self-esteem, and especially to learn that they are not alone. Financial Peace University (FPU) is Dave Ramsey's course to show you how to get rid of debt, manage your money, spend and save wisely. Night of Hope is a community-wide event for those who have experienced the death of someone they love. The worship service will include special music, a self-paced time of reflection and a message of hope from Pastor Matthew Hartsfield. Children kindergarten through 8th grade are invited to a program prepared for them by the Suncoast Kid’s Place team. Join us on December 15th to serve our community at the Metro Min Holiday Tents in Hillsborough and Pasco Counties! Come join us at the Westchase Campus for our Christmas Movie on the Lawn. The event is free. Friday, November 30 at 6:30 p.m. Wear your pj's and bring a chair or blanket. God uses marriage as a symbol for the extravagant love that Christ has for His bride, the Church. Marriage is a sacred covenant, and couples who are actively engaged on the front lines of ministry can be particularly vulnerable to attacks from the enemy to break down their relationship. Bay Hope Church has partnered with our sister church in Guantanamo, Cuba to change that. We will be hosting a marriage retreat exclusively for Cuban pastors and their spouses. Our retreat will culminate in a massive wedding celebration for these precious couples who give their lives for the advancement of the Gospel in Cuba. The travel team is currently full, but we would love your prayers and support. See below on how you can help make this mission happen. SPONSOR the retreat, wedding, wedding feast, or honeymoon night for a couple via monetary donation payable to Bay Hope Church. PRAY for travel mercies of those missionaries going, as well as prayers for each of the couples who will be touched by this missions trip. Help your kids learn generosity by providing kids around the world with a Christmas box just for them! Join us for a fun and relaxing overnight trip down the Peace River in November. We want to celebrate with you all that we are thankful for in 2018. Join us for a night of worship at our Lakeshore campus at 6pm on November 11th! Childcare will be provided. During the weekend of November 10 and 11, we will be filling a BIG FAT TRUCK collecting canned goods and gift cards to bless four of our Mission Partners for the holiday season. We are looking for volunteers to come and help collect and pack food boxes before each of our 3 services here at the Lakeshore Campus. There is also an opportunity to come with us when we distribute the food on that Sunday, November 11. Saturday, November 10 from 5:15-6:15 p.m.
Sunday, November 11 from 9:00-10:30 a.m. and 10:30 a.m.-12:00 p.m. Delivery will begin at 12:15 p.m.
Are you a good listener? Do you love helping others? Join us for a Suncoast Kids Place new volunteer training. Wednesday November 7th, 12 p.m. Come and enjoy numerous soups prepared by our church staff! This year's service project will benefit Woodbridge Elementary. We will have empty shoeboxes ready for you to take home and fill starting October 6, or you can choose to use your own. We will accept assembled shoeboxes October 13 - November 4 at your child's normal weekend environment. Westchase campus: Kids from PreK4 - 5th grade will march into the Sanctuary carrying the shoeboxes during all services on November 4. Don't miss this special event for kids and parents alike! See the OCC website for information on what you can pack in your shoebox. A $9 donation inside the shoebox is greatly appreciated to cover collecting, processing, and shipping the boxes to over 100 countries. You can also choose to make this $9 donation online and print a special label for your box that will allow you to track what country your box goes to with Christ's message of love. This project provides Bay Hopers with a unique opportunity to love and meet neighbors right where they're at on the night of October 31st! This event is for families with individuals who have special needs to enjoy a safe environment with sensory friendly activities and an opportunity to trick (trunk) or treat! We'll have food trucks, a dance party, games, and a gigantic show for the whole family. If you have kids ages 4 years old - 5th grade, this party is for you! Living in Faith will lead a trip to Cuba this fall and you're invited to join them! They will fly from Tampa to Havana, then travel by ground transportation to the city of Camaguey. Along the way, they will visit a number of churches distributing Bibles and installing their water purification systems. No experience necessary, just a heart to share the love of Christ! The cost is $1,000, based on current day airfares. For further information, contact Russ Montgomery at contact@livinginfaith.net. 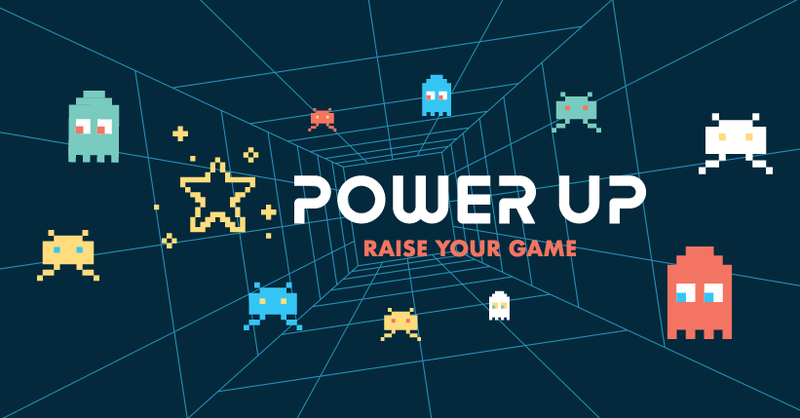 Parent Power Up is a 45 minute class offered between Sunday services where you will meet other parents and walk away with resources that will encourage and equip you as a parent.